Wrongful death claims were filed against the trucking company, the trucking company’s driver, the general contractor for the construction site and the subcontractor. A worker on site testified the majority of trucks that turned that same corner jumped the curb. Photos of the site proved this, revealing tire track marks well worn over the curb. Despite this, the construction company did not put up the necessary barriers. Decedent was reportedly conscious for several minutes after he was struck, but died soon thereafter due to massive traumatic injuries. Decedent’s own employer reportedly contributed $400,000 as a result of the settlement. As our construction accident attorneys in Fort Myers know, cases like this can be incredibly complex because for one thing, anytime we’re talking about trucking accidents or construction accidents, we’re almost always dealing with multiple defendants and insurers. 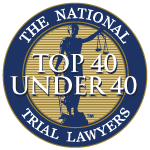 In some ways, this is a good thing because the more liability insurance that is available, the better the odds of plaintiff actually receiving a full and fair recovery. However beyond that, anytime there is a work-related accident, there is also the probability the employer will assert immunity under the exclusive remedy provision of workers’ compensation law. Employees cannot sue their employers for negligence leading to a workplace injury, unless they are not actually an employee (but rather an independent contractor) or unless the employer was grossly negligent (a tough standard to meet). In this case, it’s not clear whether the $400,000 paid into this settlement by the employer was part of a workers’ compensation settlement package, but we do know the employer was not named as a defendant in the civil action. On construction sites, potential defendants include the site owner, general contractor, subcontractors and faulty equipment manufacturers. In cases involving roadside construction accidents, negligent drivers and their employers too may be deemed liable. 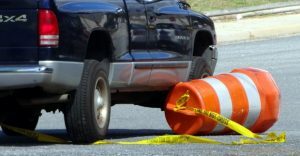 The U.S. Centers for Disease Control and Prevention reports that between 1982 and 2014, nearly 25,000 people lost their lives in work zone crashes. That breaks down to about 750 a year. Many of those deaths involve people in motor vehicles, but an average of 121 work-related fatal injuries occur at road construction sites annually. Florida ranks No. 2 for the most worker deaths at road construction sites a year. If you or a loved one have been injured in a highway construction accident in Florida, our Florida wrongful death attorneys can help.